The VIT ceramic vase collection: modern organic shapes in a variety of sizes designed to flatter flowers. "I love flowers from my garden", says Kristin, "but I don't always have enough of them to make a big bouquet". 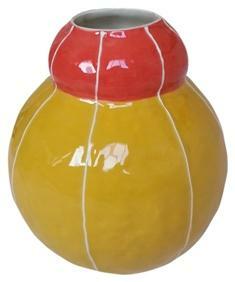 The VIT vases have been designed taking this into consideration. 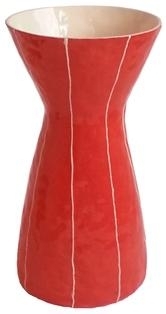 The torso vase gracefully displays 1 or 2 long stems. The taller Eve vase supports a large spray or a buch of flowers. 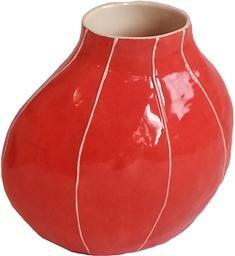 Bud vase collections include 1 of each: torso bud, round bud and pear bud in 3 color combinations, warm, cool and bright. 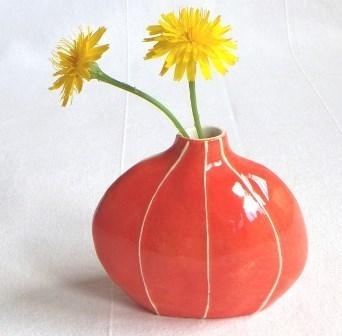 VIT ceramic vases are available in coral jade, Danish blue, gray, taupe, yellow and red, all colors that have been chosen to harmonize with flowers and foliage. The first vases were the bud vases. Originally they were called "wedding bud vases" and were designed in response to a request from the bridal department of Barneys Japan. It is a Japanese tradition for the bride and groom to give their guests gifts. 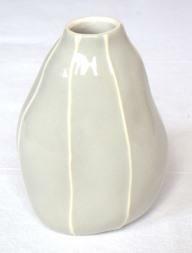 These contemporary little bud vases, handmade and personal, are the result. 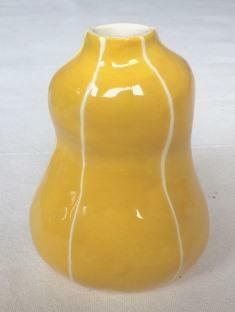 Each vase has a modern, organic form that was created using the ancient coil and pinch technique. I love forming these pieces using no other tools than my hands. 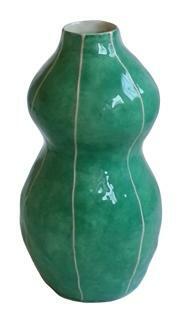 The resulting vase is asymmetrical with a softly textured surface that catches and reflects light. White stripe detailing is applied by hand onto bright colors or classic gray and taupe. This adds a little more texture to these contemporary pieces and ensures that each one is unique. 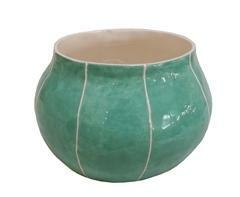 I glaze and fire all my ceramics by hand in my studio in Seattle. They are durable and easy to clean so that you can enjoy them for many years.